deb duty papercrafting: happy birthday project life! 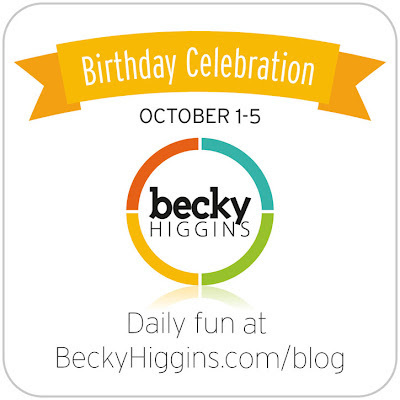 Becky Higgins, LLC and Project Life are celebrating turning three years old this month! I feel extremely blessed that I happened upon beckyhiggins.com right around that same time and read about the new product she was launching, Project Life. It took me all of about two seconds to decide it was right for me. And it was a great decision I might add. I now have almost three years documented in my Project Life albums. Each page holds memories that I would have surely forgotten otherwise. Think how much more amazing it will be to look back on in years to come! And guess what? 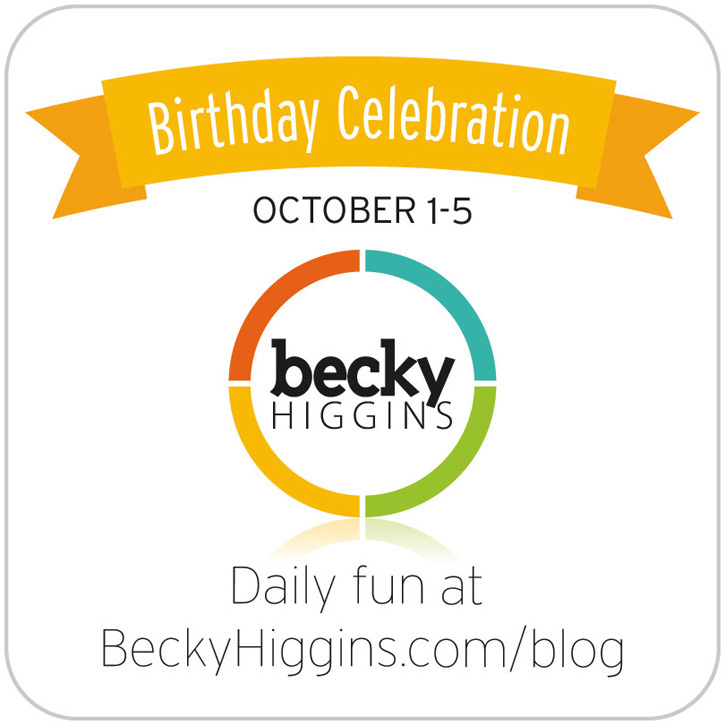 To celebrate we are having a blog hop with giveaways! The prize up for grabs on my blog is one of my favorite new Project Life items... One lucky person will receive a pack of 3x4 textured cardstock and a pack of 4x6 textured cardstock in the edition of your choice. Because the prize will be shipped from Amazon, the winner must have a United States mailing address. Even if you don't win there are lots of new freebies for everyone on Becky's Free Stuff Page so be sure to check it out. And you'll want to visit the other creative team members' blogs for a chance to win even more Project Life goodness! Okay, so just leave a comment (be sure to leave your email address if yours isn't attached to your blogger profile) and I'll randomly select a winner and announce the lucky person's name on Monday, October 8... Good Luck!! I love you PL posts. I purchased the first PL kit and still no PL album. :( The Clementine line is my favorite. Thanks Deb, just adore your PL posts. Thanks for a chance to win. Thanks also for the template. I am new to project life and appreciate seeing your pages. Blessings. As I tell my hubby Project Life = Happy Wife. Thanks for the giveaway! Happy birthday, PL! This is my first year for Project Life and I am loving it! Living life is time intensive...recording it is a breeze with this system! Thank you for the opportunity to win! Seeing your spread of PL just makes me super smile. I love doing PL and I really would love to try the new textured cards. Thanks for the chance. Happy Bday! Great products and great prize. Thanks for the giveaway. i bought PL when it came out, but never started it. I'm vowing to in January. project life is such a great way to document your own story. yes yes!! love these new cards! thanks for the giveaway!! and I love Becky and PL!! Those cards look yummy! Thanks for the chance to win! Thank you for a chance to win these very colorful cards! This is fun... like a treasure hunt! I would love to win, I've really had my eye on those textured cardstock inserts. I just got my basic project life supplies & I can't wait to start my album in 2013!! I love how you posted all your pages in a grid like that, it's fun to see the album over time all at once. thanks for the chance...excited to start up project life again after taking a year off...I have missed it. I found your blog because of project life a few months ago. But, now I am a faithful follower. Great spreads! I love PL! Thanks Deb. great giveaway and PL inspiration!! Thanks so much for the giveaway! I haven't tried the coordinating cardstock yet. Looks great. I would love to win these cards for my PL. Thanks for the chance! This sounds like something I should start since I forget everything lately! Love the PL concept and YOUR pages Deb! SO happy Becky got together with Bazzill!! Thanks for the giveaway! What a great prize that would come in very handy for us crafters to use. TFS your work and a great giveaway. I need those cards in Clementine. Loving Project Life - my first year! Thanks for a chance to win! Love, love, love Project Life! Thanks for the chance to win! LOVE PL! Would so love to win these!! Thanks for the chance to win!!! Loved your webinar the other night! Love the pic of all you PL pages. So cool! Would love to win the new textured cardstock! Happy Birthday Project Life!! Would love to win these as I haven't yet broke down and bought any yet! Awesome! I'm frugalportland at gmail, in case I'm the lucky one! Oh thanks for the chance to win!!! I am loving doing Project Life this year!! This is an awesome giveaway. I just purchased my first Project Life supplies and will be doing from now until the end of the year. Starting with the Seafoam Edition for 2013. So exciting! This is my 4th year doing PL. My kids love looking back and the everyday stuff! I haven't been as faithful to Project Life as I was in the past. I still love looking at other Project Life albums, though. Thanks for the ideas and the giveaway. This is such a fun blog hop! Thanks for the chance to win! I was so excited that Becky started to offer these cardstock cards! I LOVE them and I'm sure I'll use them often! Thanks for a chance to win! Thanks for the giveaway - looking forward to using PL! Love all of the color on your project!!!!!!!!!!!!!!!!!!!! How fun! TFS! and for the giveaway opp. Would love to win some of these. Love this Thanks for the gieaway! Great pages and a great product to win. I love Project Life because I get more of my life documented with less time spent trying to be "very creative!" It's wonderful! I love your PL pages. Thanks for the chance to win! Loving Project Life. Thanks for a chance to win! thanks for the fun chance to win!! Love PL...Love your pages! Thanks for the chance to win! I have just discovered PL this year & I'm in LOVE! Thanks so much, Deb! Thanks for the chance to win! I love project life. Love, love, love Project Life! Can't believe it has been three years. I have been doing project life for two years and love it when I look back on my binder. Thanks for the chance to win, great giveaway!!! Project Life has saved my life! I'm in love with the simplicity of capturing and documenting every day!! Thanks for the giveaway! Thanks for the giveaway! I can't wait to start PL in 2013! Thanks a lot for the opportunity to win the textured cards, they are very intriguing (to me, anyway). Great giveaway! Thanks so much for the chance to win! thanks for the giveaway, i hope i win. Loving PL!! Thanks for a chance to win!! Thanks for the chance to win! These cards are great! Todays my first day with Project life. cards would come in handy. the picture of all your layouts side by side is so cool. it took me two and a half years to get on the project life bandwagon, but i'm glad i did. I tried to jump into PL last year, but the set I wanted sold out so quickly along with the page protectors I couldn't get in at the start of the year. Your pages are wonderful, and looking at the DT pages I can see how wonderful it is to see the everyday pieces of life. Thank you for sharing!! Plus I really want to win this prize I didn't even know this was existed. Love the new cardstock pieces! Iam just starting project life and those cards would come in very handy. Just ordered my project life supplies. Will be starting just in time for the holidays, crazy? Maybe, but iVe been wanting to start his for such a long time I decided to just do it! Hi Deb! I'm planning to start Project Life for the first time in 2013, but I'm not planning to buy a kit, so these little boxes of cardstock would be perfect. Im looking forward to begin documenting 2013 on Project Life. Thanks for the chance to win! I love those new cards from Bazzill! Thanks for teaming up with Becky to celebrate PL! I am enamored with the possibilities we all have with the PL products in keeping our personal record of our lives--so fun! Love Project Life! Thanks for a chance to win! This would be totally awesome to win! Thanks! I love Project Life. I just started my first album this summer but have plans to use PL to document past years. I love PL and love those textured cards. Thanks for the chance to win. I love your Project Life pages particularly your last post where you were not afraid to combine a couple of weeks into one spread! Why didn't I think of that?! Love this! Thank you for the chance. I feel like a winner just participating in the blog hop giveaways! This blog hop is so much fun!!! Thanks! Love the simplicity of it - thanks for the chance to win. :-D I LOVE PROJECT LIFE! I like you, found Becky's Blog and her product when she first shared it with us. Its been a great way to document our lives. Would love to try the cardstock. Thanks for the chance to win! Love working on my Project Life album. The cards would be a great addition. Thanks for the chance to win them! Thanks for a chance at this giveaway! 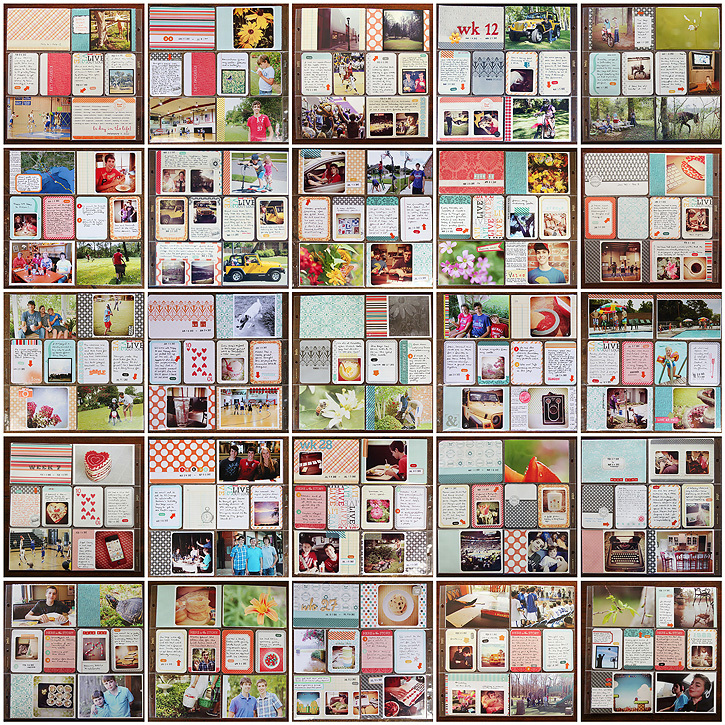 I am a HUGE project life fan...it is simply the best idea for streamlining memory-keeping! Happy Birthday Project Life!!! Love it SO much! Thanks for the chance! I love PL, even with older children I've captured a lot of daily memories I wouldn't have, otherwise. I love Project Life! Thanks for the chance to win! Thanks for the great giveaway. I LOVE LOVE LOVE project life. I am new to PL, but excited to participate this year! Thanks for this opportunity! I am so in love with Project Life! Thanks for the opportunity to win! Thanks for the chance to win Deb! I'm a newbie to this PL phenomenon and can't wait to give it a shot in 2013. Yay for Project Life! My 2012 album is still going strong... Thanks for the chance to win! I would love to win these thanks for the chance. I just started Project Life and would love to win these...thanks for the giveaway! Working on getting caught up on my PL album- just a few weeks behind. Thanks for chance to try out some new product!! I can always use more PL supplies. Thanks! I love the simplicity of your approach and what you write about. It inspires me to keep going and not get bogged down by extras. Thank you! Thanks so much for the chance to win these supplies! I stumbled upon BH style in the early days on Creating Keepsakes and have loved her work ever since. Thanks for the giveaway! You rock! Thanks for the giveaway, this is great!! Thanks for the giveaway. Love the blog hop. Thanks for the giveaway ... love those cards! Awesome giveaway! Would love a set of these! I ♥ the look of all your pages together like that. CONGRATS and thanks for the chance to win! You guys are all inspiring me to take this challenge next year. Would love to try out the cardstock. I think it would definitely help me out when wanting to add Instagram photos to my album! I'm just about to jump on the PL bandwagon. I ordered the turquoise kit when it was recently restocked. Your giveaway would be a great addition to my very small PL stash of supplies. Thanks! I would love a chance to win these cards! What a fun week. Would love the chance to win. I'm current with Project Life, love it so much! Thank you for this chance. LOVE PL! Thanks for the giveaway - I love Project Life!! Thank you for the giveaway. I love your PL ideas. Awesome, Thanks so much for the giveaway and always inspiring! Thanks for the opportunity to win! I'm looking forward to making my 2012 Project Life book be a bit more creative and fun. These cards will be a great addition! Thanks for the chance to win. I love your project life. Would love to easily add color to my pages! I would love to win these! Thanks for the chance! Love this PL giveaway, thanks! Yay! Been wanting these guys. Thanks so much. Just wanted to let you know i absolutely love your style. THanks for the chance to win. I would love to have this, thanks! I would love to try out the textured PL cards. I have several editions of Project Life going back to the very first one Becky created in 2009 (Project 365). Thanks for the opportunity. Thank you so much for the opportunity!!! I've been "hopping" along on everyone's pages and so far I want this prize the most!! The new cards look so fun!! Thanks for your PL inspiration & for this fun giveaway!